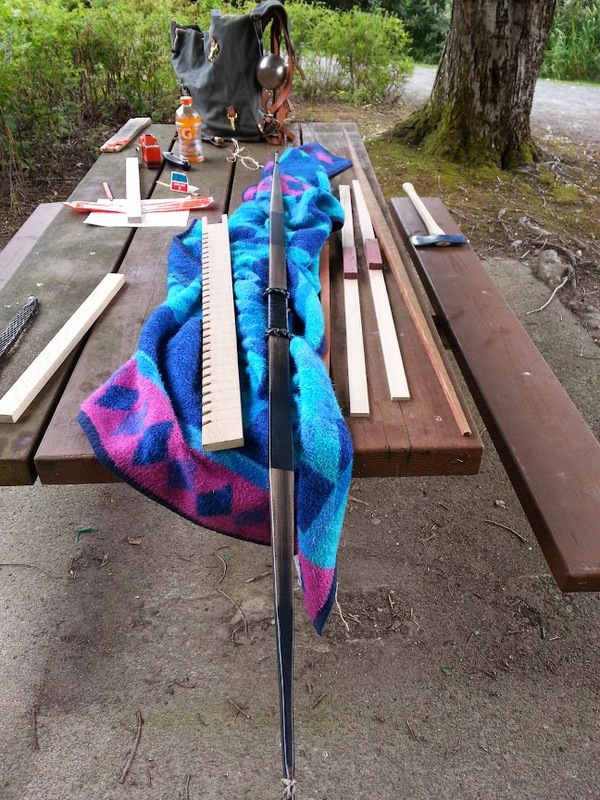 This past weekend I met up with a few other guys and started a new project to build my first bow. The whole process is actually fairly easy and straight forward. Well, it was up to this point at least. We used the following instructions to do our project: link but there were additional instructions at this link. The hardest part was actually finding the wood. I ended up getting a 10 foot chunk from Home Depot and cut the middle portion out. It is better than anything else I could find, but it is definitely not the quality needed for making a good bow. With a backing, however, it is usable. 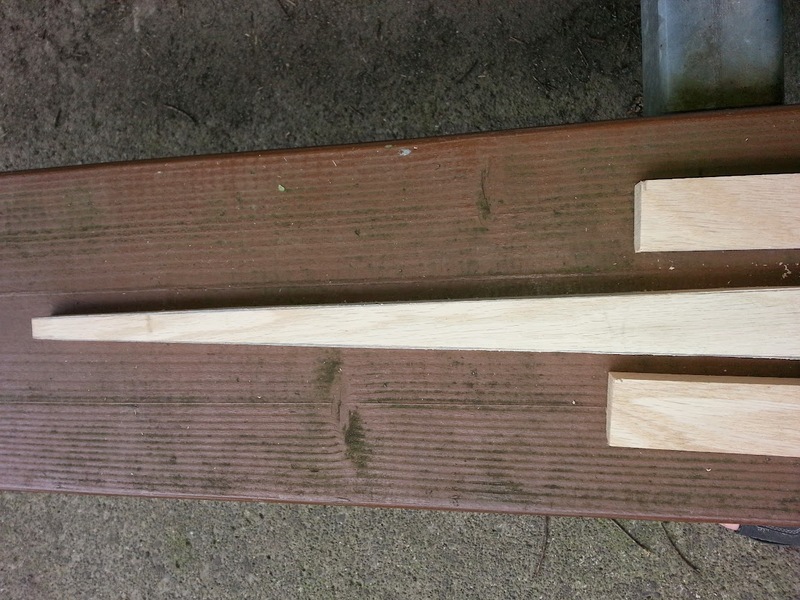 The first step was to cut the wood to length. They recommend using the length of your “wingspan.” Basically measure from finger tip to finger tip with your arms outstretched. For ease of measurement, I just cut mine at 76 inches. This allowed me to divide it into 4 equal 19 inch sections. You can easily read the instructions that contain the measurements so I won’t bore you wit those details. 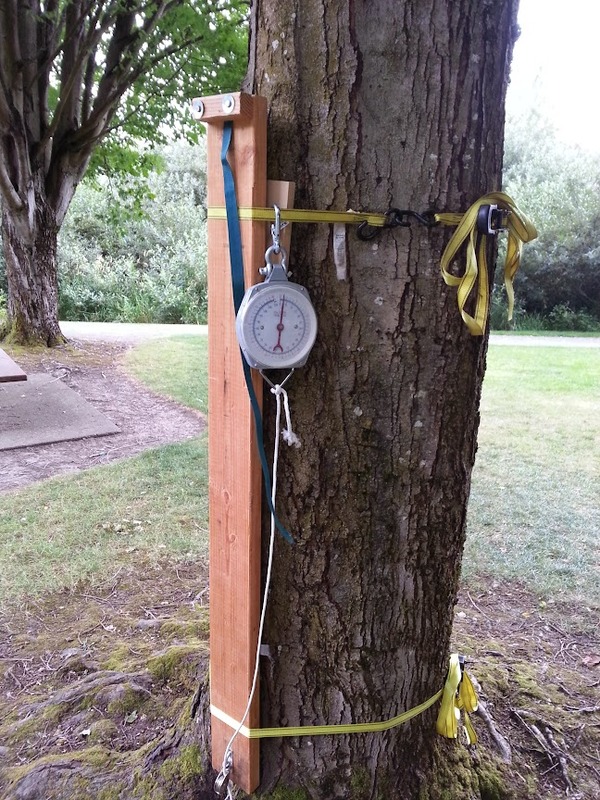 I only suggest that you pick an overall measurement that won’t be a pain in the rear to actually mark out on the wood. This is basically what we are building. 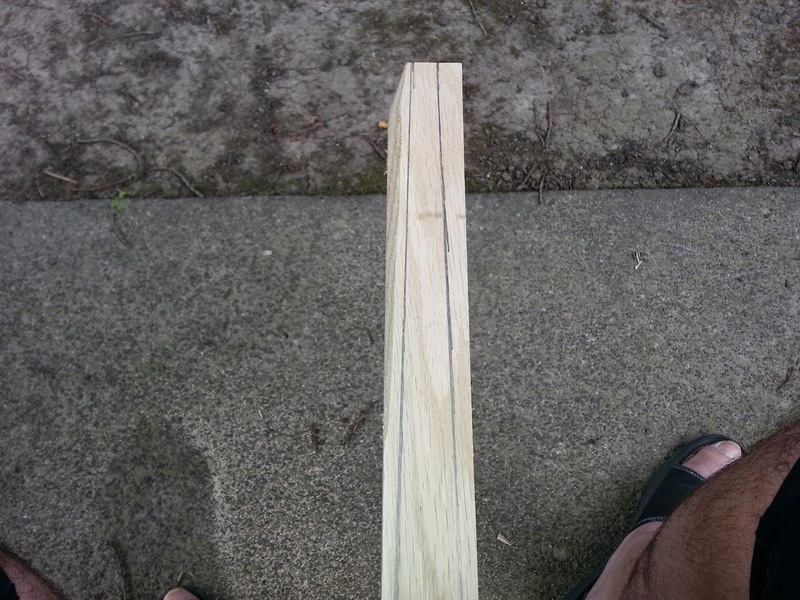 Here is a side view of the bow, tillering board and the rasp I was using to shape the wood. You can see the tillering board, some of my junk in the background of the first picture, a couple blanks on the right side and a finished example of what we are building. The second picture really shows you the rasp to get for shaping the bow. I used this rasp and went mostly with the grain as opposed to the others going across the grain. My results were a rough shaped bow in about 2 hours versus the others not even having one of the 4 sides completed. For those of you who want to make something all spiffy and nifty just remember that this is a basic bow. It won’t earn you any longing stares of envy from others at a shooting range, but it seems to be a great starting point to learn. In all reality, it isn’t that bad for something you are making yourself. I do have a couple tips for you that I learned (the hard way) after shaving off the 2 ends of the board. Be really careful of your lines. Straddle the board to hold one end with the other end tied off/clamped down/etc.. This position gives you good working area and access as if it were a shave horse or something. Use long strokes with the wood. It keeps the sides much smoother and cleaner. Here is a good picture of the rasping progress after about 30 minutes. Granted, I got much quicker and better as I went along. I only had a chance to work for 2 hours before I had to go back to see the wife before she left for work. Here is one end of the bow. The other end looks just like this. There are more tools that I need to make to finish up this project. This is one of them: a scale and frame to attach the tillering board to. I also have some more rasping to do. It will take a while to get everything done, but keep checking back for Part 2 of this build. Anything else I learn along the way, I will post up so you can learn from my mistakes. 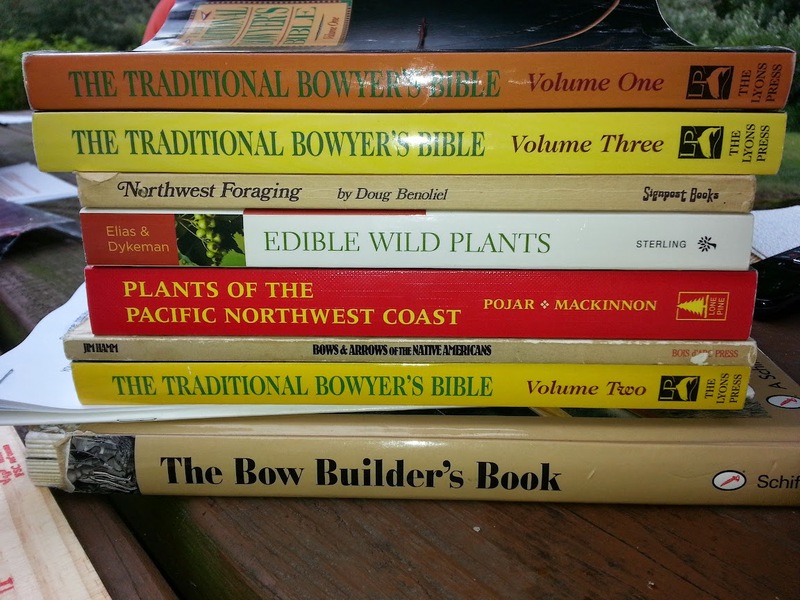 This is a picture of all the books that Rick brought with him and has used to get to his current skill level in bow making. Several of these titles will be added to my collection eventually. This really seems like it will be a very addicting hobby. This entry was posted in Miscellaneous on July 14, 2014 by Woodsbum.